Looking for a fibreglass insect screen with excellent visibility? This screening product is designed for performance, provides more optical clarity for a crisper, brighter view. UltraVue is perfect for patio door screens and windows where the focus is on the view. This highly durable, corrosion resistant aluminum screen by Everbilt is the long-lasting solution for insect protection. The aluminum screen provides excellent visibility and airflow for windows, doors and balconies, while presenting a clean finish for a sharp exterior design. Available in black or silver. This tight weave fibreglass screen by Everbilt is the perfect solution for keeping small insects out while still providing high visibility and airflow. Flexible and lightweight, this high quality mesh is crease-resistant, easy to install and makes great screen protection for windows, doors, and balconies. The fibreglass screen is easy to use and designed for the Do-It-Yourselfer. Available in black. This heavy-duty, pet-resistant insect screening is seven times stronger than regular insect screening and has many uses. It is ideal for screen doors and porches where extra strength and protection is desired. It is an excellent choice for high traffic areas where pets come and go. 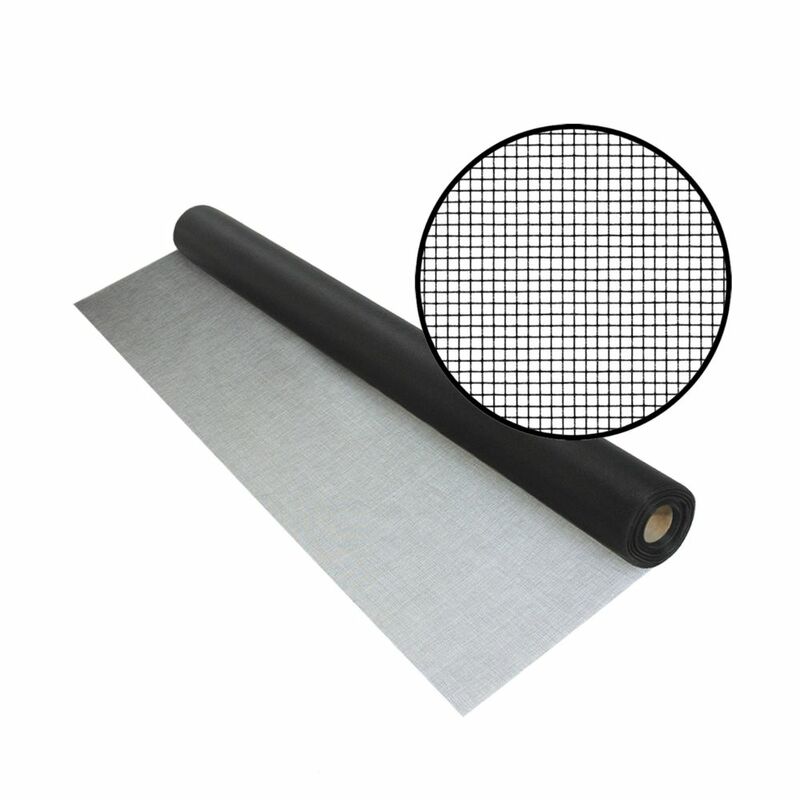 Ultravue 36-inch x 50 ft. Black Screen Looking for a fibreglass insect screen with excellent visibility? This screening product is designed for performance, provides more optical clarity for a crisper, brighter view. UltraVue is perfect for patio door screens and windows where the focus is on the view. Ultravue 36-inch x 50 ft. Black Screen is rated 4.8 out of 5 by 23. Rated 5 out of 5 by Tom from Product arrived in good condition. I have used this brand... Product arrived in good condition. I have used this brand before with good results. This ultra vue product is very clear and is easy to install. Rated 5 out of 5 by RSH from Side by side with standard screen material it is noticeably clearer. It's quite stretchy and in... Side by side with standard screen material it is noticeably clearer. It's quite stretchy and installation technique is a bit different, but I am quite pleased with it. I would not be surprised if it doesn't last as long as standard material, but it is worth it. Rated 4 out of 5 by Steve from Product is as discribed I bought this screen earlier in the summer to replace screen that had been torn. This is a better product as it is less intrusive, allowing better visibility and airflow. Rated 4 out of 5 by Lars from Clear view, lightweight.... Clear view, lightweight. Rated 5 out of 5 by jules from awesome product Practically invisible. May not be suitable however if you have pets as it is more fragile. Rated 5 out of 5 by Jennifer from It’s like the screen isn’t even there! Easy to... It’s like the screen isn’t even there! Easy to install.